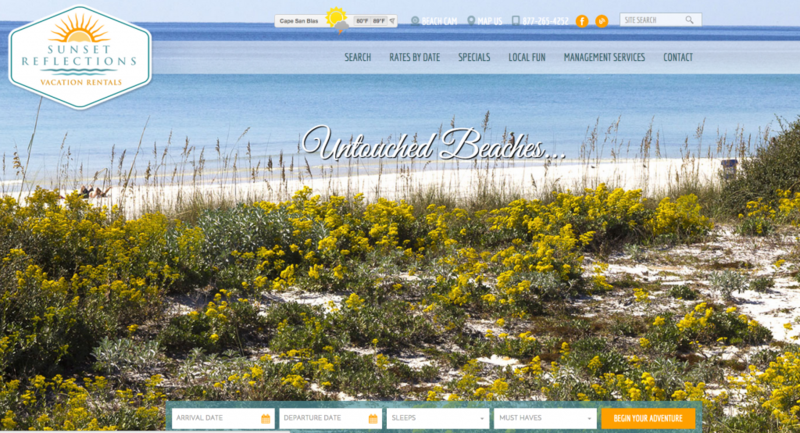 Welcome to the new blog for Sunset Reflections Vacation Rentals! With this blog comes the launch of our newly re-designed web site that you’re sure to find user friendly and easy to navigate. Everything you need to know about our pet friendly vacation homes in Cape San Blas, Florida, can be found on each of the property pages. We’ve made it so easy to find the exact type of property you want and with the amenities you’re looking for. And we’ve made it easy to book it online instantly! Take a look at our new site and come back to read our blog often. When you keep in touch with us you’ll be the first to learn about our specially discounted offers on our pet-friendly beach home rentals. If you ever have any questions please don’t hesitate to contact us. We’re looking forward to seeing you!